Wedding is an institution in which two people are united as husband and wife and are bonded together through the sacred vows. But, these vows are soon forgotten by certain philandering husbands/wives, so here’s the perfect gift that you can give you your spouse to ensure that their ‘marital’ status remains intact even after they choose to take off their wedding ring. 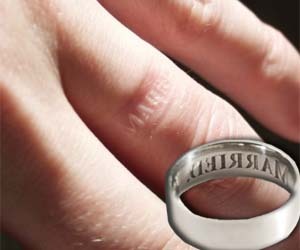 The Anti Cheating Ring is the perfect solution which is a simple looking wedding band that is made out of titanium, however, the ring is engraved from the inside with letters in big type case that spell “IM MARRIED’ which would be embossed around your ring finger after you take it off. This ring is priced at $550, but it is worth it, particularly if your spouse has a reputation for philandering. 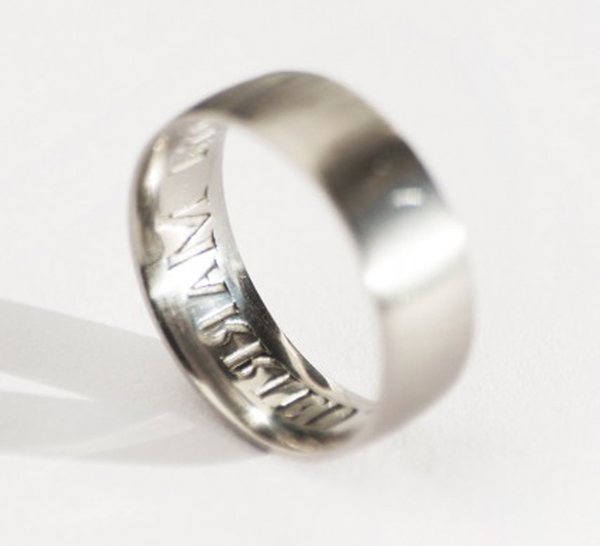 So, if someone who were wearing the Anti Cheating Ring tried to hook up with someone at the bar and pass himself or herself as a bachelor, then the embossed ‘IM MARRIED’ print around the ring finger would definitely give them away! This ring is currently being marketed and sold by TheCheeky.com which is receiving a lot of flak for this ring. Some people are of the view that the ring is preposterous because marriage does not mean engraving oneself with the ‘I am married’ tag to ensure that they behave appropriately, this is almost like you are defying the objective of marriage. Some also argue that this ring might have an opposite effect as marriage is not something that would deter philandering. There are a lot of Hollywood stars and celebrities who have philandered knowing full well of the marital status of one another- did not Angelina Jolie know that Brad Pitt was a much married man, before starting an affair with him? So, may be this ring might not really have a lot of takers as being married does not guarantee not straying. Besides, the impressions creating by the Anti Cheating Ring does disappear after some time, so it’s not a ‘long term’ solution anyways. 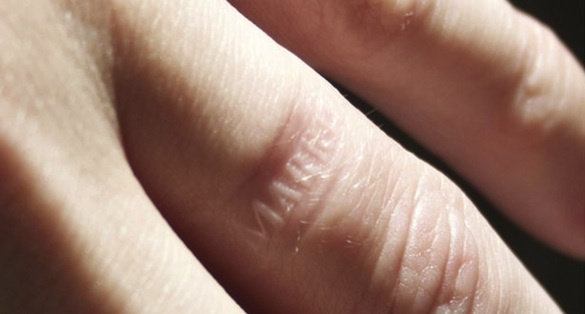 Despite the arguments, this ring has created quite a stir on Twitter. Everyone has their own individual take on this matter; however, it is nevertheless a very creative and clever approach to keeping a check on promiscuity that is on the rise these days! However, make sure that the person you are cheating with is literate enough to read what is engraved on to your ring finger!